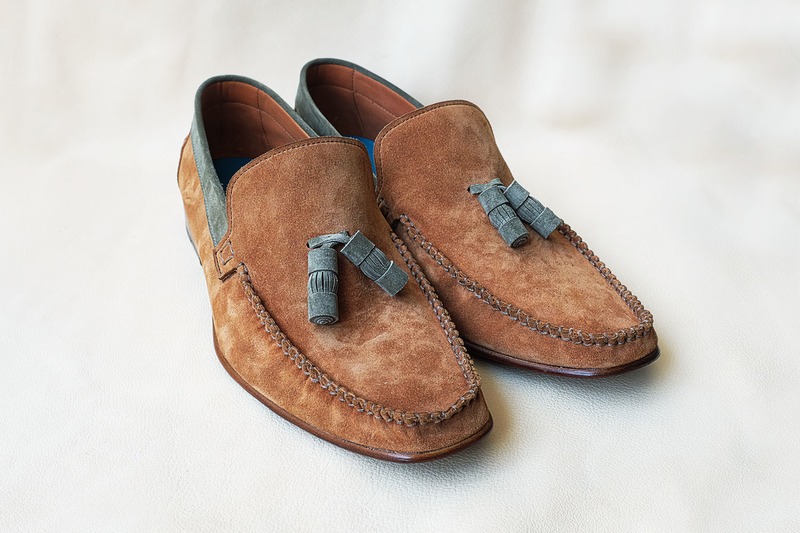 Boxer moccasin loafer – the elegant driving shoe by Dominique Saint Paul. This moccasin loafer shoe gets its name from the box stitch on either side. Boxer moccasin loafer shoes are equally at home on holiday or driving your Bentley. The stitched outsole is made with a very thin leather so that the shoe is very flexible and can bend back on itself. Perfect for driving, but also super lightweight and comfortable. Hardwearing also. Boxer driving shoes look good in suede or in our hand coloured crust leather. Hand coloured leather means you choose the colour – any colour. Pictured here is a pair made with tassels – which is an option. The leather outsoles can also be hand coloured. Our leather goods collection includes belts, wallets, card holders, cigar cases, notebooks, iPhone cases, bags and much more. Our leather goods are all fully leather lined.